Fox News host Laura Ingraham is going on a one-week “Easter Break” from her show as advertisers boycott The Ingraham Angle over a tweet criticizing anti-gun Parkland student activist David Hogg. Ingraham announced on Friday night’s broadcast that the break was a “pre-planned” vacation with her family for the Easter holiday. The Ingraham Angle is one of the highest-rated cable news programs on television. 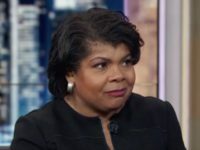 The show came in fourth place for having the most viewers of any cable news program in February, averaging more than 2.6 million viewers, according to Nielsen Media Research. Only Fox News shows Hannity, Tucker Carlson Tonight, and MSNBC’s The Rachel Maddow Show beat the five-month-old cable news program in the cable television ratings war.